Questions of human rights compatibility with sharia have become more pressing after the Arab uprisings, with the increased political role played by Islamist parties. Join global experts on freedom of belief, freedom of expression and the status of religious minorities in Islam to discuss human rights violations by Arab states and non-state actors allegedly committed in the name of Islam. 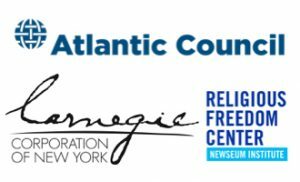 This program features scholars associated with the Atlantic Council’s Islamic Law and Human Rights initiative, a project of the Rafik Hariri Center for the Middle East. Geneive Abdo (@AbdoGeneive) is a senior fellow at the Atlantic Council’s Rafik Hariri Center for the Middle East in Washington, DC and lecturer at the Elliott School of International Affairs at George Washington University. Abdo is the author of four books, including The New Sectarianism: The Arab Uprisings and the Rebirth of the Shi’a-Sunni Divide, just published by Oxford University Press. 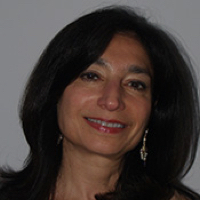 A specialist in issues regarding political Islam, Abdo received many awards for her scholarship, including a John Simon Guggenheim fellowship. Abdo was formerly the liaison officer for the Alliance of Civilizations, a UN initiative established by former Secretary-General Kofi Annan, which aims to improve relations between Islamic and Western societies. Before joining the United Nations, Abdo was a foreign correspondent, where her 20-year career focused on coverage of the Middle East and the Muslim world. Dr. Elie Abouaoun (@elie022) is currently the director of the Middle East & North Africa Programs at the U.S. Institute of Peace. He has served as director of Middle East Programs and senior program officer since 2013. Prior to that, he held the position of executive director at the Arab Human Rights Fund. He is a visiting lecturer at Notre Dame University-Lebanon and Saint Joseph University-Lebanon on the subjects of human rights, civil society, advocacy and citizenship, and regularly contributes to publications throughout the MENA and the US. 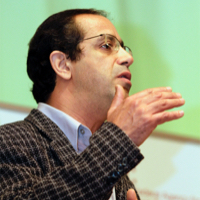 Dr. Abouaoun also serves on the Board of Directors of several organizations in the MENA region. CANADA: Mohammad H. Fadel (@shanfaraa) is Associate Professor & Canada Research Chair for the Law and Economics of Islamic Law at the University of Toronto, which he joined in January 2006. 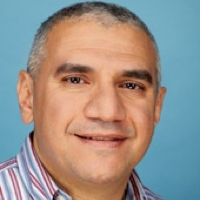 Professor Fadel wrote his Ph.D. dissertation on legal process in medieval Islamic law while at the University of Chicago. 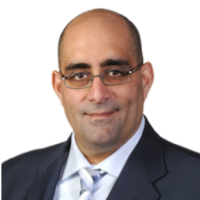 Professor Fadel was admitted to the Bar of New York in 2000 and practiced law with the firm of Sullivan & Cromwell LLP in New York, New York, where he worked on a wide variety of corporate finance transactions and securities-related regulatory investigations. 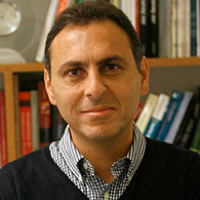 Professor Fadel also served as a law clerk to the Honorable Paul V. Niemeyer of the United States Court of Appeals for the 4th Circuit and the Honorable Anthony A. Alaimo of the United States District Court for the Southern District of Georgia. He has published numerous articles in Islamic legal history and Islam and liberalism. 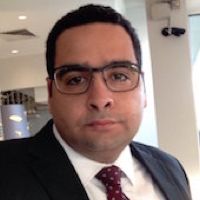 EGYPT: Moataz El Fegiery (@Elfegiery), protection coordinator for the Middle East and North Africa at Front Line Defenders, has over 14 years of field experience in human rights research and advocacy in the MENA region. Before joining Front Line Defenders, El Fegiery was the executive director of the Cairo Institute for Human Rights Studies and MENA deputy director of the International Centre for Transitional Justice. He was also a research fellow at the Foundation of International Relations and Dialogue (FRIDE). 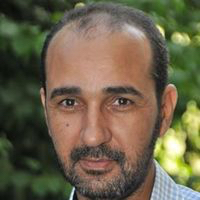 El Fegiery is the treasurer and member at the executive committee of the Euro Mediterranean Human Rights Network since 2006 and board member of the Cairo Institute for Human Rights Studies. He has an M.A. and Ph.D in law from the School of Oriental and African Studies (SOAS), University of London. MOROCCO: Omar Iharchane (@omariharchane) is Professor of Public Law and Political Science at Cadi Ayyad University in Marrakesh, Morocco, and a member of the General Secretariat of the political department of the Justice and Charity Movement, an Islamic social movement in Morocco. He is concurrently Director of the Moroccan Center for Research and Policy Analysis. Previously, he served as Youth General Secretary of the Justice and Charity Movement. Since 2009, he has coordinated Morocco in a Year, a collaborative annual report on the state of Morocco. He earned his doctorate from Université Hassan II Aïn Chock de Casablanca. MOROCCO: Driss Maghraoui is Associate Professor of History and International Relations at Al Akhawayn University in Ifrane. Dr. Maghraoui teaches courses on North African immigration in Europe, modern imperialism and its culture, history of the Arab world, and history and memory in 20th century Europe. Previously visiting professor at Yale and the University of California, Santa Cruz, his most recent publications include Revisiting the Colonial Past in Morocco; Secularism in Morocco: A Stagnant Word in Motion; Northern Africa: Historical Links with Sub-Saharan Africa; Perceptions of External Pressure to Democratization: The Moroccan Case; and The ‘Grande Guerre Sainte’: Moroccan Colonial Troops and Workers in the First World War. BUDAPEST: Dr. Harith Hasan Al-Qarawee (@harith_hasan) is currently a Fellow at the Center of Religious Studies at the Central European University in Budapest. He holds a Ph.D. in Political Science from Sant’Anna School for Advanced Studies in Italy, an M.A. in Political Communication from Leeds University (UK), and an M.A. in Political Science from Baghdad University in Iraq. 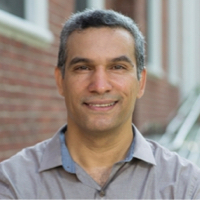 He was a lecturer and teaching assistant at Baghdad University and was a fellow at the Radcliffe Institute at Harvard University. His research focuses on state-society relations, political transitions, and identity politics in Iraq and the Middle East. He has written extensively for various English and Arabic publications and journals and is currently writing a book titled, Hawza and Shi’a Politics in post-Saddam Iraq. He is also working on a project aiming to track cultural heritage and human migrations in areas engulfed by violence in Iraq. LEBANON: Imad Salamey (@isalamey) is Associate Professor of Political Science and International Affairs, Associate Chair of the Department of Social Sciences, Director of the Institute for Social Justice and Conflict Resolution (ISJCR), and the former Program Coordinator of the Maxwell School of International Affairs’ Leaders for Democracy Fellows at the Lebanese American University (LAU). He is the President of the Center for Arab Research and Development (CARD) and serves on the Atlantic Councils’ Task Force on Religion, Identity, and Counter Extremism (MEST). He is the current contributing editor of the London-based the Arab Weekly. Salamey is the author of The Decline of Nation-States after the Arab Spring: the Rise of Communitocracy (Routledge, 2017) and The Government and Politics of Lebanon (Routledge, 2014). USA: Asma T. Uddin (@asmauddinesq) is director of strategy for the Center for Islam and Religious Freedom, a non-profit engaged at the intersection of Islam and religious freedom in both the West and Muslim-majority countries; research fellow at the Berkley Center for Religion, Peace, and World Affairs at Georgetown University; and founding editor-in-chief of altmuslimah.com. Uddin previously served as counsel with the Becket Fund for Religious Liberty. She also serves on the OSCE/ ODIHR Panel of Experts on Freedom of Religion or Belief and the advisory council for the Institute for Global Engagement’s Center for Women, Faith & Leadership. Uddin guest-edited a Review of Faith & International Affairs special issue and is co-editing a forthcoming book of essays by women who have faced religious persecution. 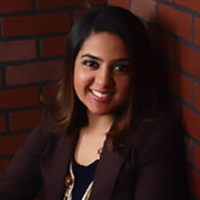 Uddin graduated from the University of Chicago Law School, where she was a staff editor at the University of Chicago Law Review.